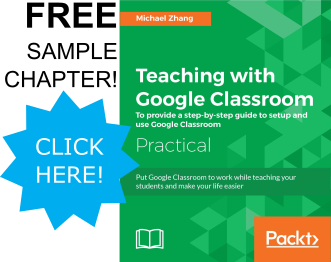 Google Classroom email and notification settings are found in the Settings gear at the bottom of the left sidebar. 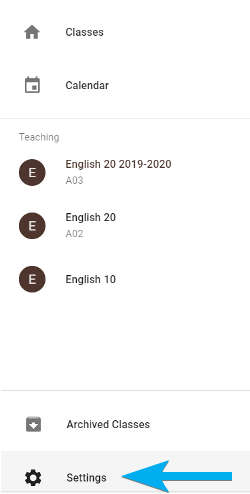 The new settings for Fall 2018 are the class specific settings at the bottom. 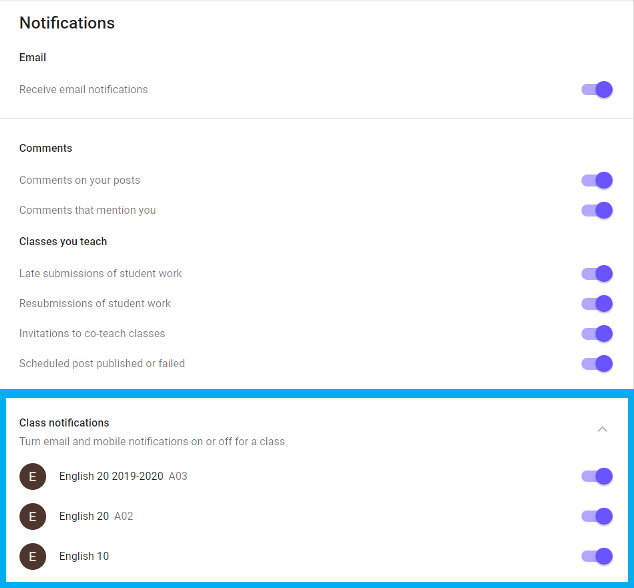 Now teachers and students can turn off all notifications for individual classes but still receive notifications for others.